Report has it that a 19-year-old migrant and a Moroccan woman have been arrested. It was gathered that the Moroccan woman, was arrested in Ceuta, a Spanish enclave next to Morocco, on December 30. 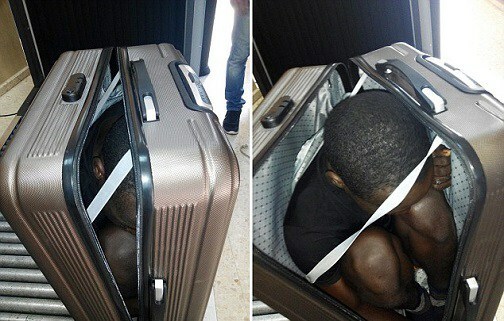 The woman tried to smuggle the 19-year-old migrant from Gabon across the border with Spain curled up inside a suitcase.